Sadly i couldnt get a great light cause of the weather to make the photos. For the front panel i use distress ink Salty ocean to create a soft blue Background. I cut the snowflake with a cutting knife, then added acetate and i create the shaker using some fun foam.For the sentiment i used Scrapberry's -Happy Holidays clear stamps set which i embossed with white embossing powder. The card would be my entry to the Fusion : Blue Christmas challenge. 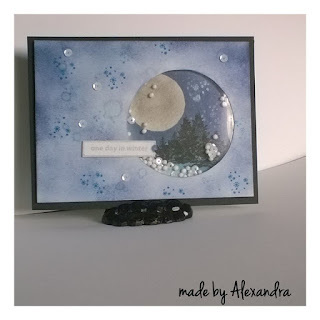 I found this challenge so nice because my Christmas tree and decoration this year will be blue and silver so for me was a very fun card to make since i like very much blue ! For the front panel i used snowflakes from Efco -Wintertime clear stamps set,which i embossed with white embossing powder. Using the distress Salty Ocean ink i create a ombre background a bit darker on top and light at the bottom.I also added a bit of water to react a bit with the ink and let it dry. For my sentiment since i don't have a Big shot, i used the The Alley Way stamps freebies which i cut out using a cutting knife, then embossed with white powder several times. I felt like the sentiment would need like a shadow so i cut another word this time in a light blue color also embossed with clear embossing powder. The Card for today is about being thankful for all that wonderful things in our life. I know that many of you are thankful for your family, for your health, jobs..i am also thankful for this wonderful life that i have , for my family,for my husband that always supports me , for my kids they brigthen my days, for this little place that i can share my creations. 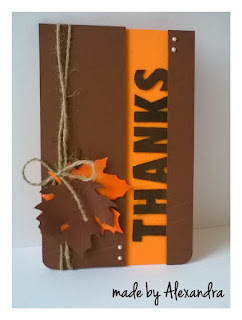 For this card i used some supplies that i had in my stash and since i didnt had a nice stamp with the word ''thanks'' i decided to use some letters that i got some time ago but didnt use them.I added a bit of thread and made a little bow. I also added 2 leaves and some half perles to finish my card! With this card i am participating to Simon Monday Challenge Blog ! I hope you like my card!Thanks for stopping by ! Have a nice day! Today i have a Happy Birthday card for you. First i inked the front panel with yellow and pink ink and i tryed to blend them. 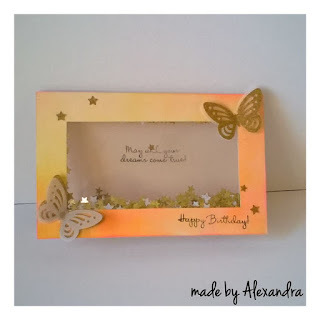 After i create a frame were i added acetate, then i made another frame into my card that fits to the front panel. To add dimension to the shaker i used fun foam. I filled the shaker with some stars. The sentiments are from Scrapberry's My little bear- Birthday party and My little bear with flowers . 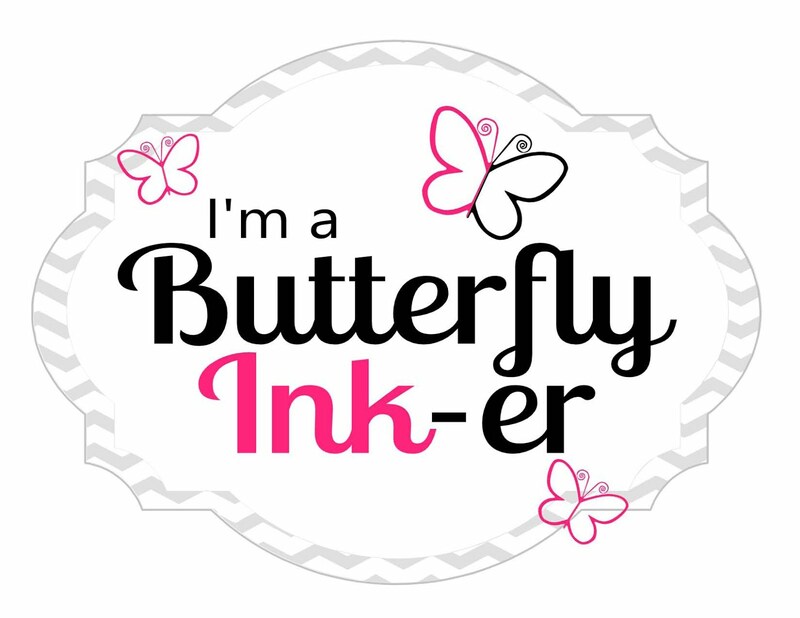 The butterflys are made with punch from some vellum and glitter paper. 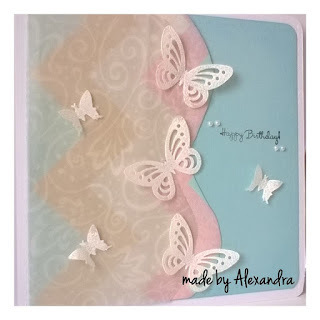 With this card i am participating to Size the Birthday Challange Vellum or Acetate. I hope you liked my card ! Thanks for stopping by ! Have a great day! My card for today is a very simple and easy to make ! Yesterday i went to the local store and i found this wonderful pattern paper that has those snowflakes embossed ! 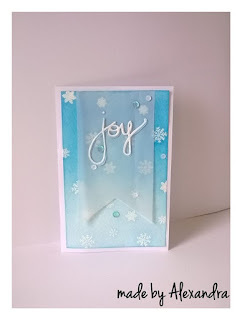 The sentiment is from the Scrapberry's -Happy Holidays clear stamp set and embossed it with white embossing powder! I also used a snowflake and in the center of it put a half perle! And this is my card for today very simple and easy to do ! With this card i want to participate to the Fusion card challenge ! I hope you liked my card and thanks for stopping by ! Today i have another shaker card for you. For this card i used the Create a Smile stamps set - Your view that has those cute critters and the window frame, the sentiment is also from a Create a Smile stamps - Poppin' over . The critters are colored with Spectrum Noir alcohol markers and for the background i used some Brown ink and a stencil to give a bit of texture to the wall and green ink for the grass. Inside of the shaker i used some Salty ocean Distress ink. For the shaker material i use some glass perles that i buyed from a local store and some presents that i colored. The presents are from the Scrapberry's - Best friends stamps set. I hope you like my card ! Have a great day and thanks for stopping by! Although now the weather here in Gemany is not so nice, is raining all day , i am thinking at winter , at snowflakes, at Christmas Magic. Because of that i have again a winter card. With this card i am participating to Challenge up your life . For this card i used White cardstock some vellum and some glitter paper that i made myself using some double sided tape and some glitter that i have in my stash. 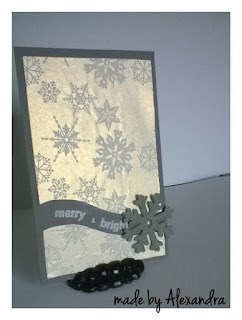 For the sentiment i used Scrapberry's - Happy Holidays clear stamps set which i embossed with white embossing powder! I hope you like my card ! Have a wonderful day and thanks for stopping by. For the background i used some masking tape to cut a circle for my moon .Then i used Distress ink-Chipped Sapphire for the sky and a bit of Salty Ocean for the bottom! I stamped my trees with black ink and the stamp is from Inkadinkado - Woodland Wonderland clear stamp set! I adeed some dots with a white pen gel. For the front panel i used again the same Distress inks and then i sprayed a bit of water on top of it. With Salty Ocean i stamped does cute snowflakes from Create a Smile -Your view clear stamp set. For the sentiment i used Scrapberry's - Happy Holidays clear stamp set. To finish up i added some white sequins. Thanks for stopping by !Have a great day!!! Hello everyone!I hope your having a wonderful day. 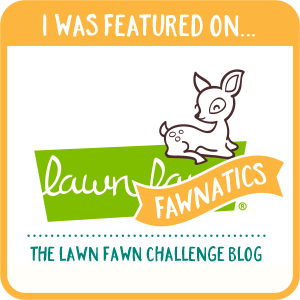 Today i have another project for you! Here is another mode you can use your stamps. This time of the year i like very much to make lanterns and use them with teelights or in this case i used a led wire lightset. 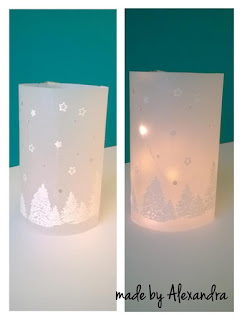 So i made a very simple lantern using some vellum, Inkadinkado stamps set '' Woodland Wonderland'' and emossing powder.The stars are also clear stamps from the set ''Winter time '' from efco! This was a very fun and easy to do project . I hope you like it and try it too! With this lantern i will participate to the Bastelschöppchen' Blog challange Ich gehe mit meiner Lanterne! Thanks so much that you stopped by ! Have a nice day! For the butterflys i used 2 different size butterfly punch ! They are cut from vellum that i had in my stash for long time then i embossed them with white embossing powder.The sentiment is from Scrapberry's - Best friend clear stamp set. At the end i added some half pearl sticker just to have a bit of interest near the sentiment. With this card i wanna participate to W plus 9 Challenge : Get Sketchy # 4 and Virginia's View Challenge # 20 . I hope you enjoy my card! Have a wonderful day! 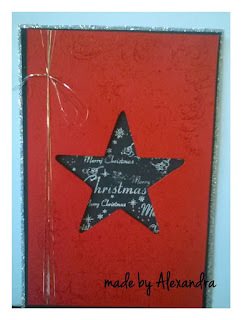 The card for today is a Christmas card using Viva Decor stamps ''Christmas Stars & Merry Christmas''. 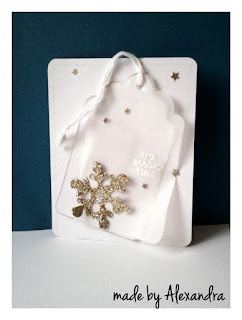 For the front of the card i used clear embossing power and for the inside i use white embossing powder. 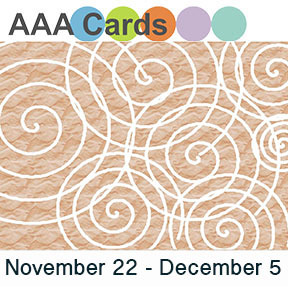 With this card i will participate to the monthly card making challenge from Virginia's View Challange! The challenge is All About Texture!